The Doors will release “Live At The Isle Of Wight Festival 1970”, on DVD+CD, Blu-ray+CD and digital video on February 23. Directed by Murray Lerner, the project captures the historic last concert ever filmed of The Doors, whose August 29 performance was featured alongside sets by The Who, ELP, Sly & The Family Stone, Ten Years After and Joni Mitchell, among others. The scene is August 1970: frontman Jim Morrison’s ongoing obscenity trial, from an incident a year prior in Miami, weighs heavily on the band. The Doors hit the stage at 2 AM before The Who and deliver a 7-song performance. 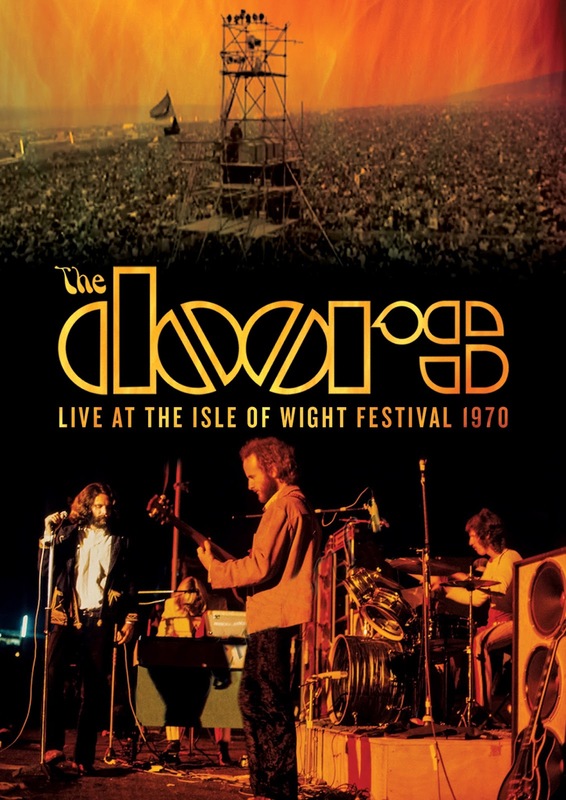 “Live At The Isle Of Wight Festival 1970” captures and showcases the essence of this poignant performance, as well as offering a snapshot of the era, with footage of fans (over 600,000 in attendance) tearing down barriers and crashing the gates to gain access to the event. The original concert footage has been completely recut, remixed and meticulously restored via the latest technology, including color-correcting and enhanced audio in 5.1 Dolby Digital sound as mixed from the original multi-track material by longtime Doors engineer / mixer / co-producer Bruce Botnick. The DVD also includes with the bonus featurette “This Is The End”, which presents 17 minutes of interviews conducted by Lerner with guitarist Robbie Krieger, drummer John Densmore, and original manager Bill Siddons, and adds archival footage with Manzarek from 2002. The band’s sophomore set was recorded during tour breaks between May and August of 1967 at Sunset Sound Recorders in Hollywood, the same studio as their self-titled debut, which was released earlier that year and reissued in 2016.